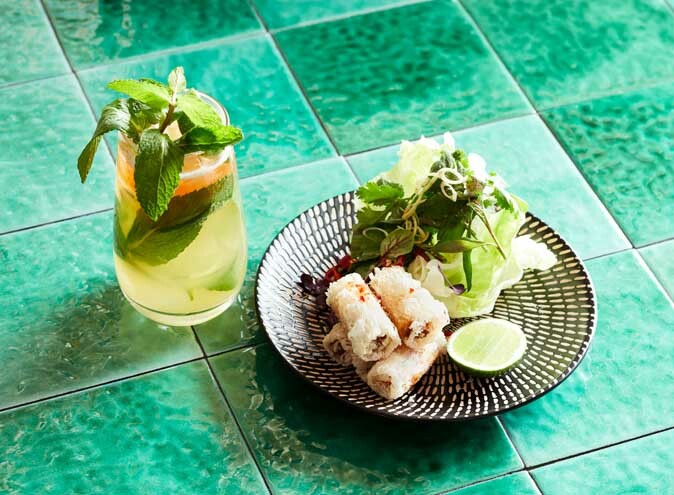 Red Piggy is Melbourne’s newest and most exciting rooftop restaurant and bar located on the corner of Swanston Street and Little Bourke Street in Melbourne’s CBD. It’s delicious, it’s affordable and most importantly, it’s instaworthy (maybe not most importantly, but you get what we’re saying). 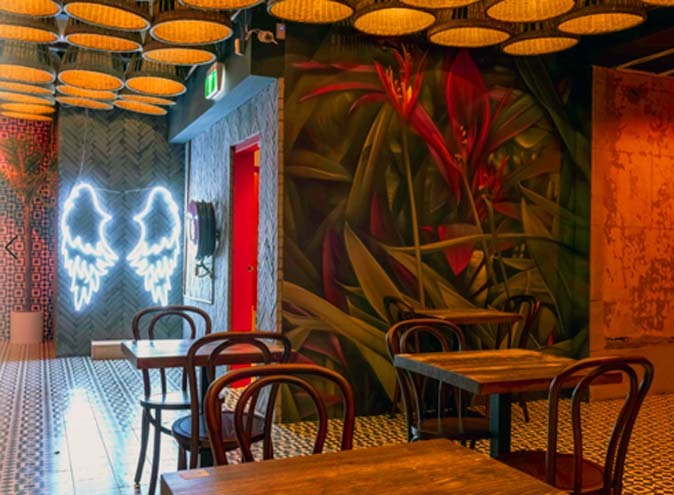 Red Piggy opened its doors in October of this year, and offers anyone willing to give it a go a modern twist on classic South-East Asian flavours, highly influenced by the vibrant and rich history of the old French Indochina region. To make your way up to this wondrous rooftop location, all you need to do is simply trot into the ground level elevator from Little Bourke Street and head-up to level three. You’ll be treated to fantastic views right across central Melbourne; the Emporium and QV straight down Swanston Street to St Paul’s Cathedral on Flinders Street! 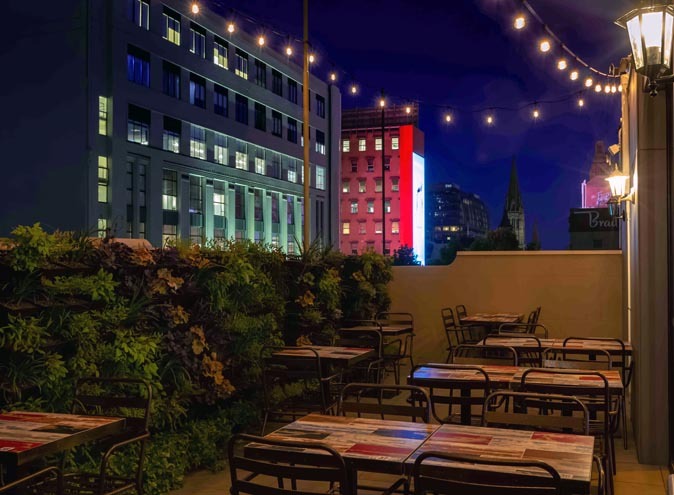 The rooftop terrace features festoon lighting and a huge hanging wall garden, with approximately 300 handpicked plants from a local greenhouse. The jungle continues inside the restaurant to give the guests a real sense of tropical Asian paradise, featuring green palms and large tropical flowers. 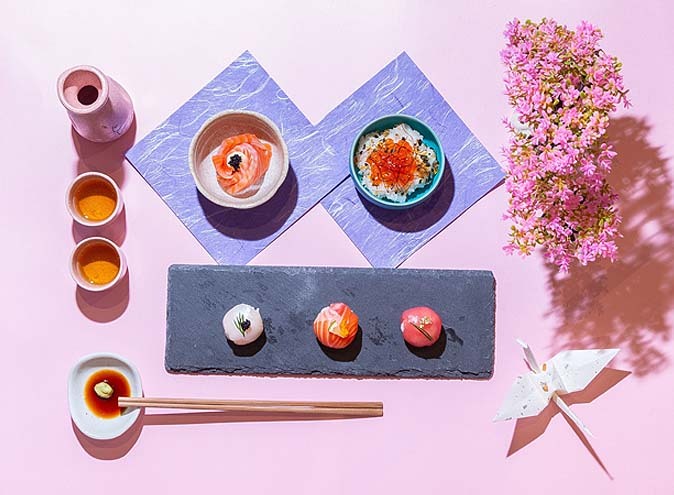 If the plants weren’t enough, Red Piggy is also decked out with traditional French Indochina tiles which cover the floor, and handmade Vietnamese and Laotian farming baskets spectacularly decorate the ceiling. Slow-cooked lamb neck in a rich Thai red curry, Thai basil and sticky rice. The drinks menu is packed with refreshing, fruity and inventive cocktails, awaiting for you to try and be amazed. 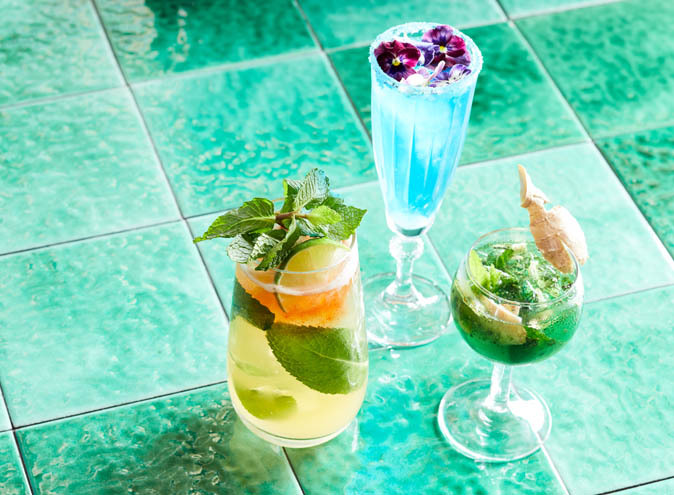 If you’re just up for a drink that’s always an option, but remember that these drinks are concocted to compliment the food so it’s best if you give both a go. Test the waters by trying the Freakin’ Banana! or the Booby Trap cocktails if you don’t believe us. 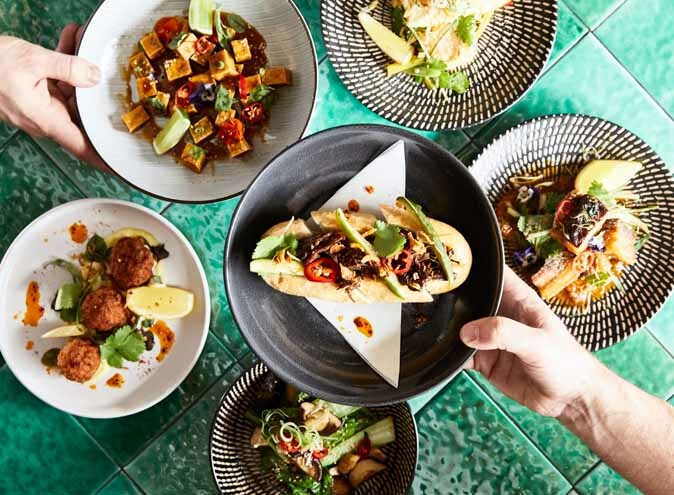 With more than 20 years’ experience across both Australia AND Indonesia in some of the best restaurants, Red Piggy bring you their Albury-born head chef Kim-Maree Moore. Kim comes to Red Piggy after most recently making her services well known at Botherambo and Mahalo Poke in Richmond. Kim’s list of experiences and career highlights is long, and also includes Harvey’s in the Fortitude Valley and catering backstage for Big Day Out! 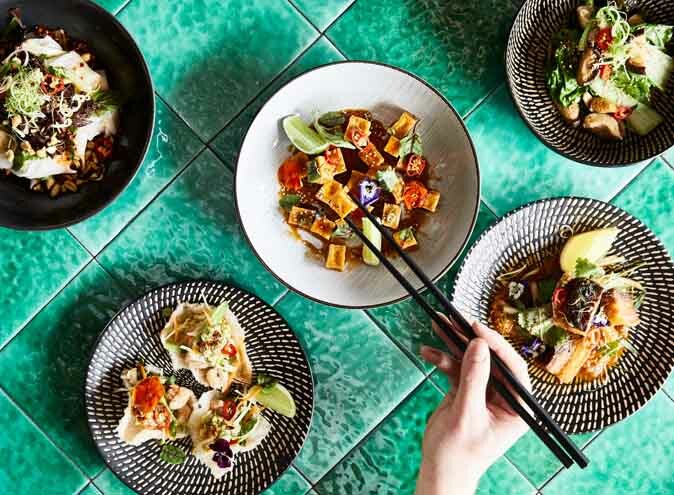 Inspired to get her hands dirty with bigger and better flavours, Kim-Maree wants to look outside the box of what modern Asian Cuisine is in Melbourne with Red Piggy. Lychee Festival – 8th (7pm to 9pm) and 9th (6pm to 8pm) of December 2018 – A two-day festival dedicated to the small, sweet fruit that just so happens to make the most delicious martini. Think limitless lychee martinis paired with a lychee-inspired menu. 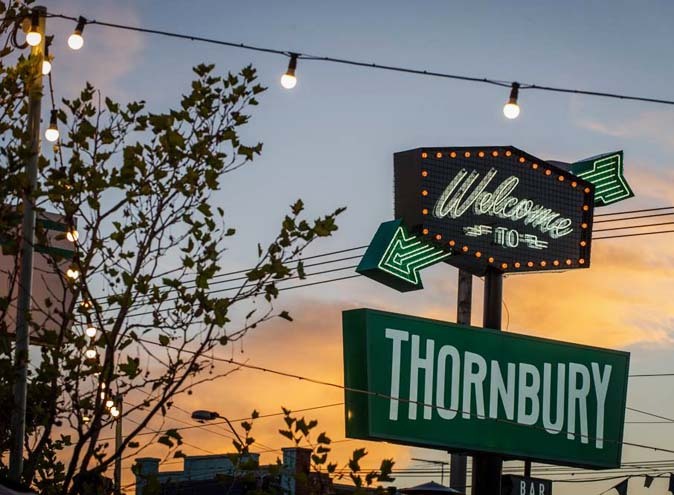 Pig & Gin Sundays – January 2019 – Sunday afternoons in Melbourne are set to get a revamp come mid-January with a two-hour unlimited gin cocktail session, complete with some of the best bites from the Red Piggy menu. One Night in Bangkok! 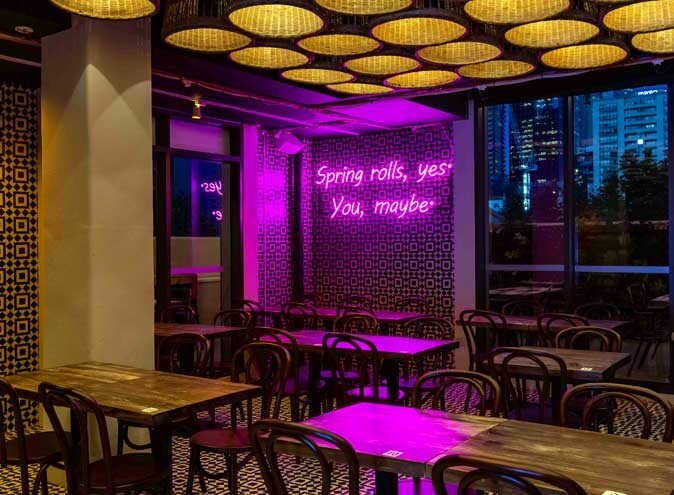 – February 2019 – A one-off party, held during Melbourne’s PRIDE month to celebrate all things South-East Asian, with Murray Head’s ‘One Night in Bangkok’ playing every hour, on the hour! 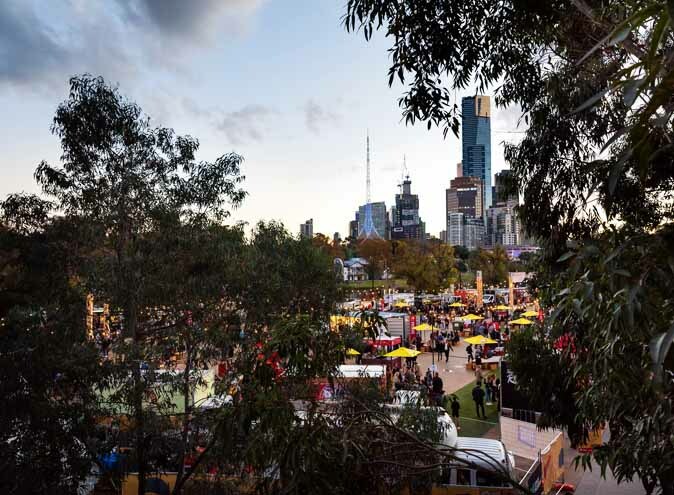 Melbourne Food & Wine Festival – March 2019 – This little piggy went to the… Stay on our curly, red tail for more updates on this tropical party! So sit back, relax, unwind and let yourself be entertained by cheeky Red Piggy. 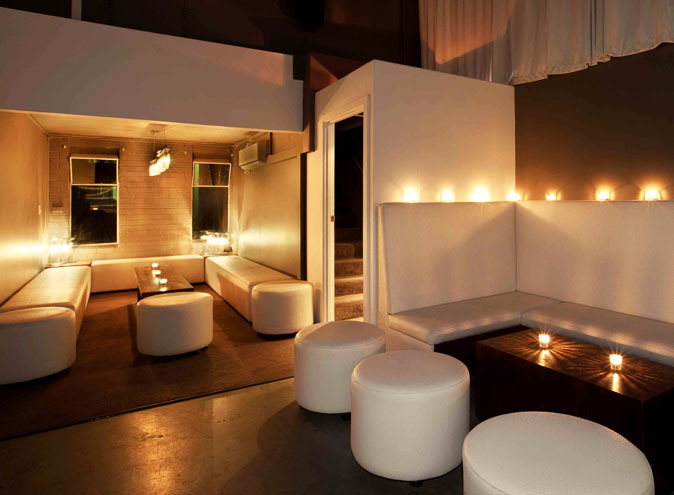 Stay tuned with the upcoming events and news at Red Piggy on their website.